Newmont’s $10 bln Goldcorp purchase creates a behemoth, and the U.S. miner has talked up options from extra assets, plus steady output and dividends. But its investors are right to be sceptical. Management will have to over-deliver on synergies to secure them a good return. 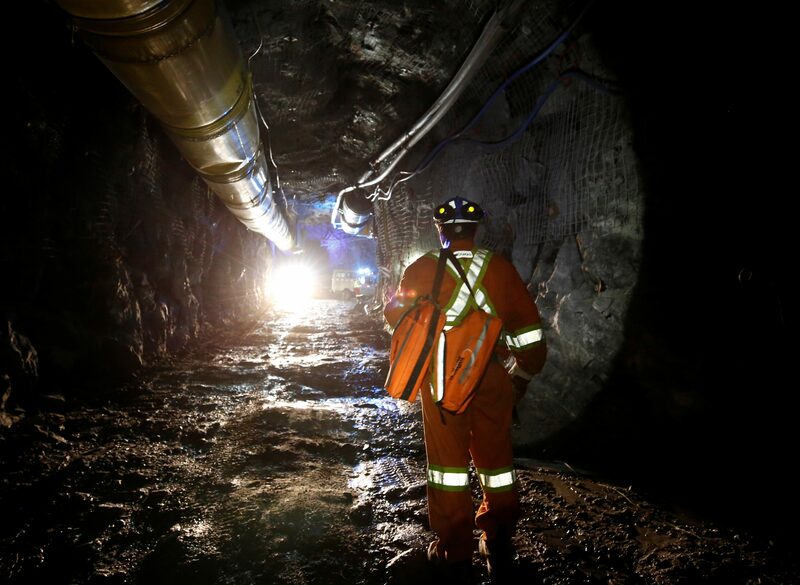 A worker walks underground at Goldcorp Inc's Borden all-electric gold mine near Chapleau, Ontario, Canada, June 13, 2018. Newmont announced on Jan. 14 that it would buy smaller rival Goldcorp for $10 billion, mostly in shares, creating the world’s biggest gold producer. The acquisition follows Barrick Gold’s agreement in September to buy Africa-focused producer Randgold. The new company would overtake current leader Barrick’s annual production. Newmont Chief Executive Gary Goldberg will retire at the end of 2019, when Tom Palmer, Newmont’s chief operating officer, will take over at the helm of the combined group. Newmont expects annual, pre-tax savings of up to $100 million. Newmont shares have dropped some 10 percent from their closing price on Friday, before the deal was announced. Goldcorp shares are up around 6 percent.